All online payments are secure and made using the SagePay payment system. This is one of the best ways of creating a permanent lawn edge as favoured by Kew Gardens and National Trust. A natural rusting surface develops on plain steel giving a pleasing organic look. 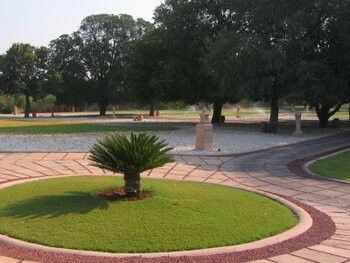 Steel edging is the longest lasting and most robust form of lawn edging, lasting up to 80 years. 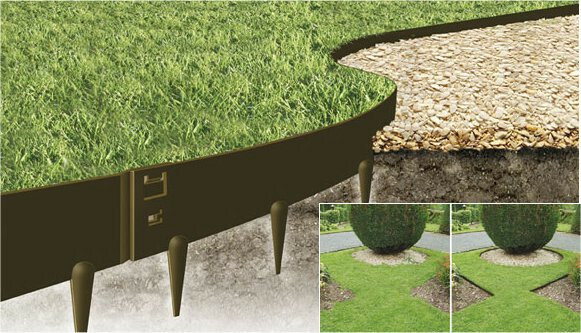 Teal Turf can supply custom made steel edging fabricated to your needs. We also offer an installation service. Costs are only marginally more expensive than pre-formed aluminium edging, but produce a stronger edge. A popular choice of lawn edging normally constructed from 100 x 22mm tanalised timber attached to 50 x 25mm tanalised roofing batten, or 50 x 50mm tanalised timber. 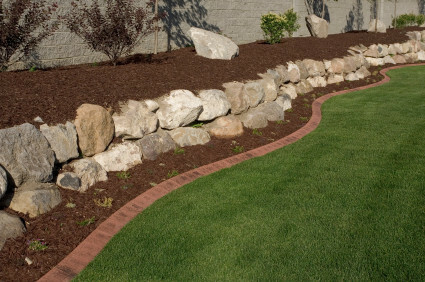 A natural looking edge easily constructed, lasting approximately 10 years. 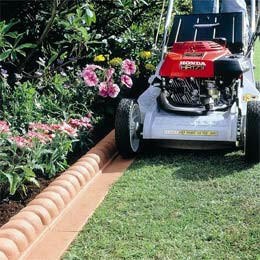 Not as flexible in achieving curves and circles as metal edging but one of the most cost effective ways of permanent edging. Teal Turf can quote for your supply and installation, please contact our office for further information. The lighter weight metal edging that can be purchased from some Garden Centres. 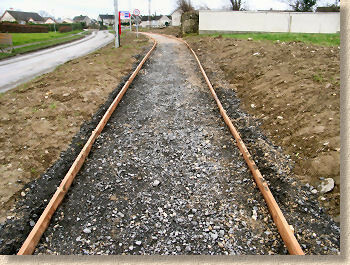 The edging is pre-cut to length, usually in 1 metre lengths, which clips together to form a continuous edge. It is relatively easy to install, but not as durable as steel and not as visually pleasing as steel edging. A permanent edge usually created as part of a feature. Probably the most expensive edging and usually requiring a bricklayer. Many different designs and types are available through Garden Centres and Builders Merchants. Light weight plastic is cheap and easy to install. Can be flimsy and less durable as the other options. 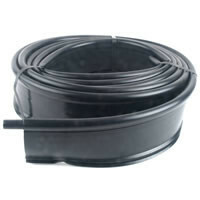 Less common, however, are more rigid forms of plastic edging that are a better option.